Amnesty International is the world’s largest and most influential human rights organisation. Their researchers help uncover and stop human rights abuse across the globe. You can help support their amazing work on the front line with donations starting from as little as £3 per month. Join a movement of 3 million like-minded people worldwide to stop human rights violations. Regular email updates on the impact Amnesty International is making with the help of your donation. Human rights are being trampled on all over the world. In many places the last thing standing between a tyrannical government and civil society is Amnesty International. The money you donate will go towards fighting for the rights of citizens to be protected wherever they are. Help Amnesty International raise global awareness of human rights abuses all over the world that unfortunately more often than not, go unnoticed. Help Amnesty International exert pressure on governments that have locked up prisoners of conscience so that hopefully one day those prisoners are released. Increase you your own awareness of social injustice in the form of human rights abuses will increase when you support Amnesty International UK. Help Amnesty International to stand up for people who cannot stand up for themselves and have no voice costs for just £3.00 a month. Amnesty International is a non-governmental organisation that was founded in London in 1961 and works to promote human rights all over the world. 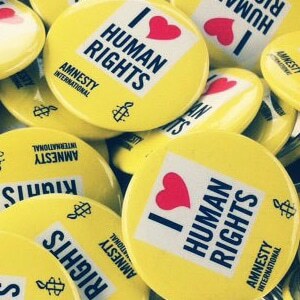 In the UK, Amnesty has 207,000 members and the organisation has over 7 million members globally. Amnesty is the leading organisation when it comes to human rights and is believed by many to be the gold standard for the movement as a whole. The organisation has the longest history of standing up for human rights and this has resulted in Amnesty International having the broadest name recognition in the field. Amnesty International works hard to draw attention to human rights abuses in various countries all over the world. Without the important work that Amnesty International does, these abuses would often go unnoticed by the international community. Amnesty International received the Nobel Peace Prize in 1977 for its “campaign against torture”. In 1978 the organisation also received the United Nations Prize in the Field of Human Rights. Amnesty International UK works to protect people wherever their dignity, freedom and justice is being denied. The organisation has become a global movement and is now the largest grassroots human rights organisation in the world. Amnesty works to expose abuses wherever they are taking place and uses its resources to mobilise the public and in the process transform countries into more just and more equitable societies. Amnesty International is completely independent from any government or organisation, both politically and financially. The majority of it’s funding is derived from membership contributions and various fundraising activities. Thanks to your help, Amnesty will continue to fight for the human rights of those who have none, and endeavour to put an end to injustice across the globe. Making a stand for humanity and human rights across the world. Helping to release people imprisoned for their peacefully held beliefs. Defending those standing up for human rights where they are denied. Support Amnesty’s educational programmes in the UK. Stand up for the rights of women and girls.